Filled with interviews from mixed-martial arts (MMA) masters, this tell-all shares the keys behind their training and success. 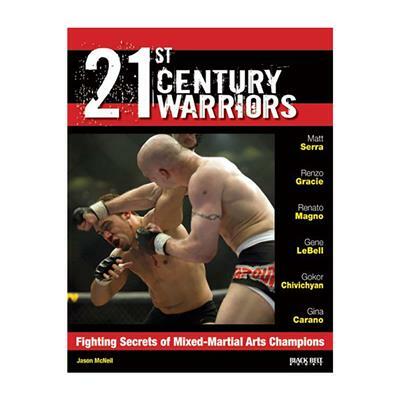 Each chapter begins with a personal introduction before breaking down MMA by technique, exercise regime, diet, and other points of interest. Interviewees include MMA champions Matt Serra, Renzo Gracie, Gokor Chivichyan, Gene LeBell, Renato Magno, Randy Couture, and Gina Carano.